A January 15 accident at a Sacramento intersection led to one person being hospitalized with injuries. The collision happened in East Sacramento shortly after 5:30 in the afternoon at Old Placerville Road and Happy Lane and involved a Hyundai Genesis and Volvo sedan. One person was reported by the California Highway Patrol (CHP) as having been transported to Kaiser North for medical treatment and further evaluation. The roadway was reopened to traffic at around 6:20 p.m. It is unknown at this time whether alcohol or drugs were a factor in the accident. The collision is under investigation by the CHP to determine the cause. Running a red light: An impatient motorist may try to beat a light that is about to turn red or run through one that has already changed. Speeding: The higher the speed at a Sacramento intersection, the more force will be exerted on the vehicle it crashes into. This can cause traumatic brain injuries, broken bones and chest and abdominal trauma as the body strains against the seat restraints from the impact. Distracted driving: Talking with passengers, texting and other distracting behaviors can keep the driver from giving the intersection their full attention. Drowsy driving: Drowsy driving is most common in the afternoon hours or after dark. Those who are sleepy cannot focus their attention on the road the way they should. Following too closely: Drivers who tailgate can cause an intersection crash if a driver up ahead stops suddenly. Someone struck by a tailgater may suffer neck injuries that can be persistent. Left turns: Some drivers make dangerous turns without looking for oncoming traffic. This can cause a head-on collision if traffic is coming toward them. Turning right without looking can endanger pedestrians and bicycle riders as well as other motorists. I’m Ed Smith, a Sacramento car accident lawyer. 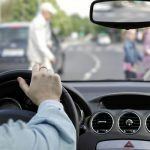 Intersection accidents can cause serious injuries that leave you unable to go to work and cost a lot in medical bills, besides the trauma that you experience. 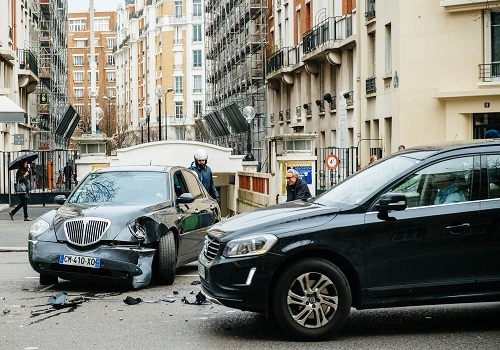 When the accident happened because of a negligent driver, you may be entitled to compensation. If you would like free and friendly advice about your situation, you can reach me at (916) 921-6400. For those who are calling from elsewhere in Northern California, I have a toll-free line at (800) 404-5400 and an online contact form on my website at AutoAccident.com. I’m honored to belong to a number of groups that mean a lot to me. One of them is the National Association of Distinguished Counsel, where fewer than one percent of lawyers are invited to join. Membership is limited to those who have exhibited a high standard of legal excellence. In addition, I’m a member of the Million Dollar Advocates, which is a forum for trial lawyers who have obtained either a settlement or verdict for a client more than $1 million. During my 37 years working as an injury lawyer, I have been privileged to have helped many Sacramento residents and other Northern Californians to obtain compensation in all types of car accidents, traumas such as brain injuries and cases that involve wrongful death.